Particularly good on parquet wooden marble laminate and tiled floors. Made from aluminium and plastic this durable lightweight system with extendable handle can also be used on ceilings and walls. The heads are attached to the base with velcro for easy application and removal for washing. The E-Cloth Cleaning System offers a simple yet highly effective environmentally friendly way to clean the whole home. The cloths will clean even the thickest grease and dirt from all hard suurfaces including stainless steel glass chrome granite plastics mirrors marble hard wood and laminate flooring - all just using water. The secret of the E-Cloth is that instead of simply pushing dirt along it collects it on the wedge shaped fibres. Each fibre cleans by breaking up and absorbing dirt and grease into the material. The natural cleaning effect of the fibres means that only water is needed to clean all hard surfaces. Please note: This product contains microplastics. 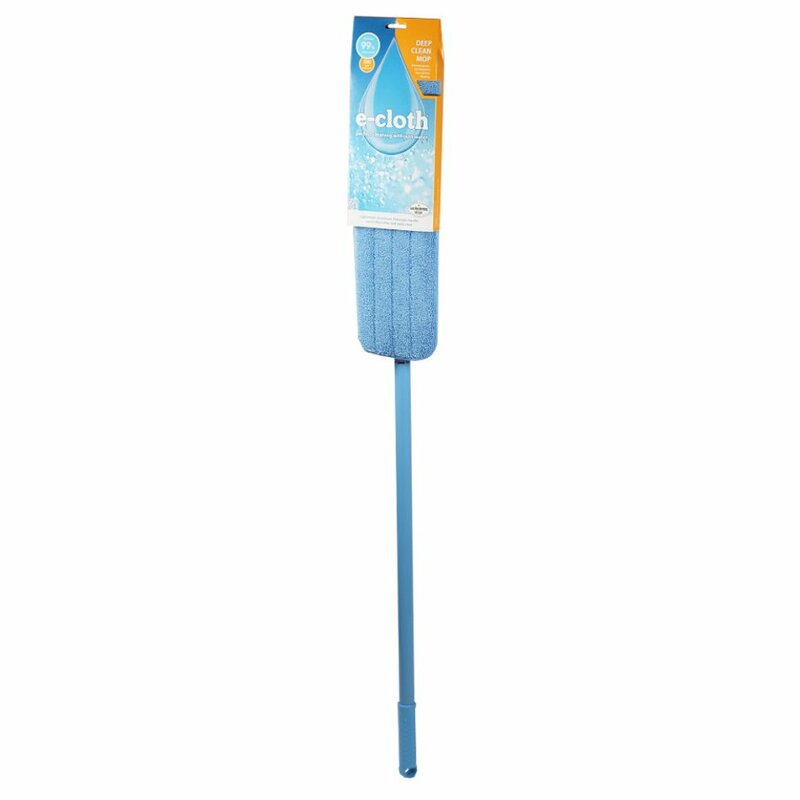 There are currently no questions to display about E-Cloth Deep Clean Mop. E-Cloth has developed a revolutionary cleaning system which really does work and can reduce your use of chemicals by up to 90%! E-Cloths are made up of millions of micro-fibres which cling to dust and moisture, making them perfect for cleaning and drying. No cleaning chemicals are needed, simply water, meaning that no harmful chemical residues are left on your skin or your surfaces. This green alternative to chemical cleaning is therefore great for allergy sufferers and for the environment.